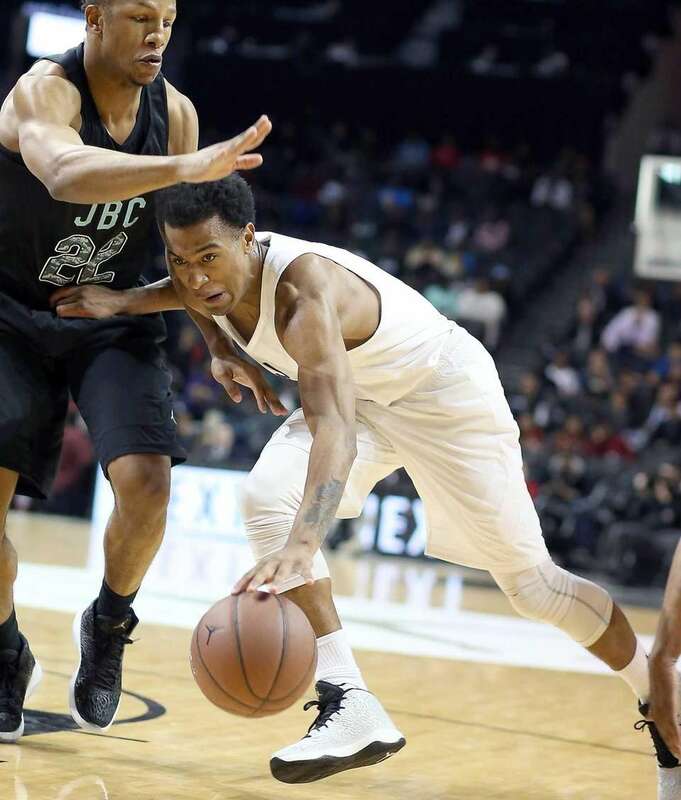 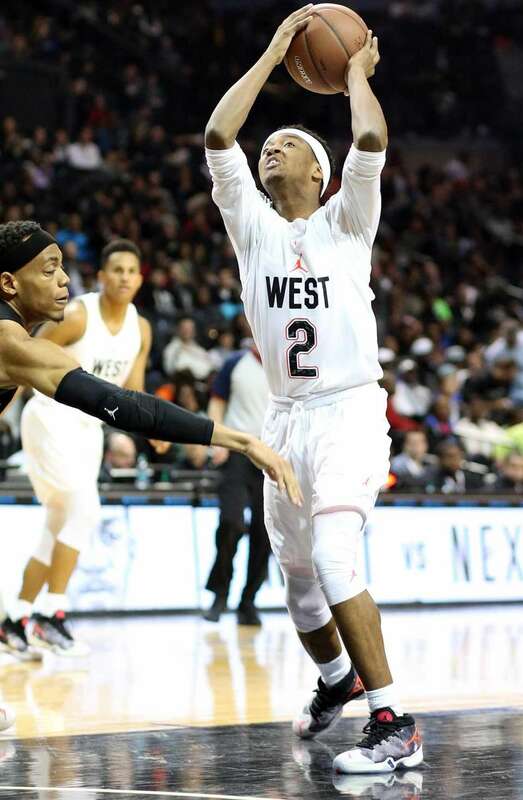 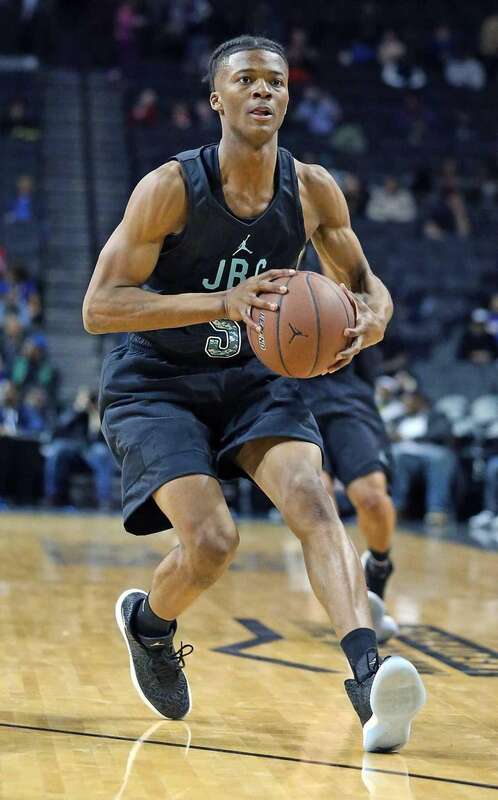 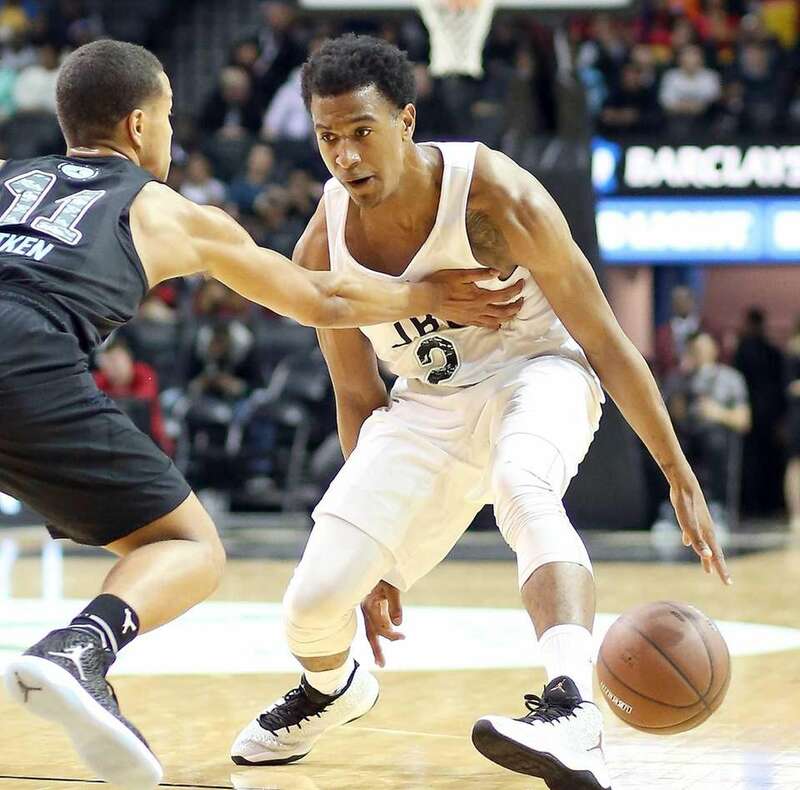 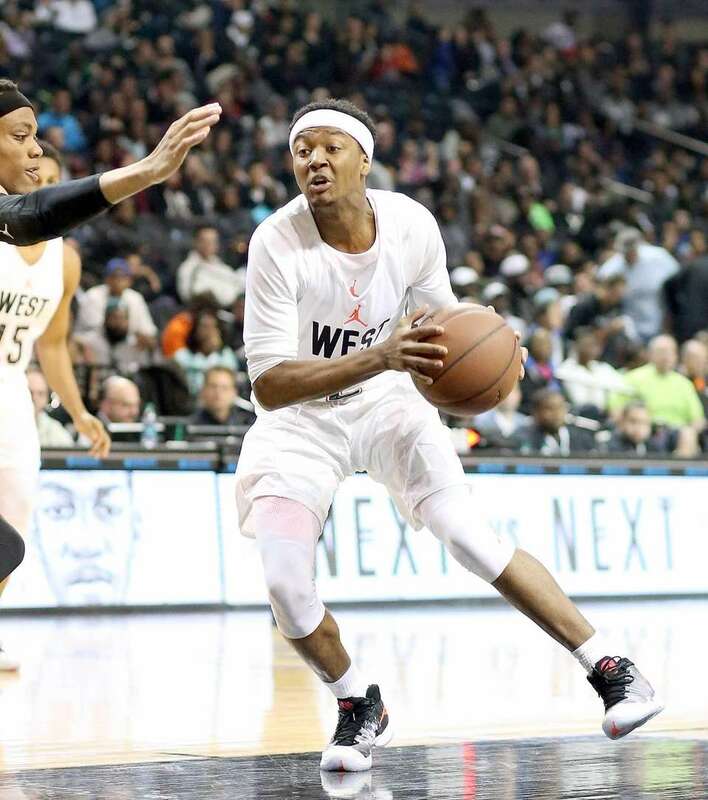 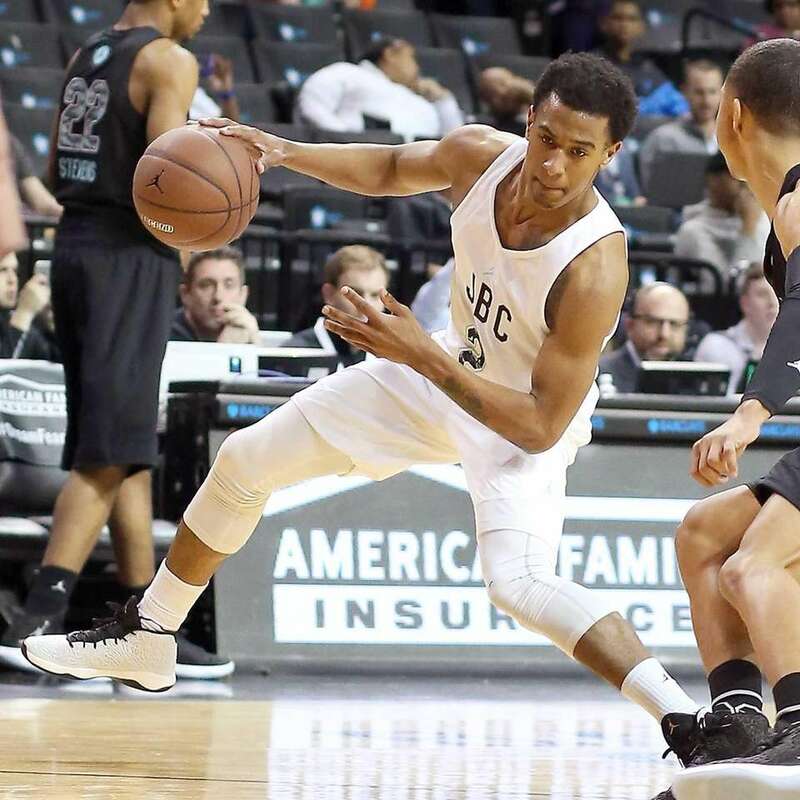 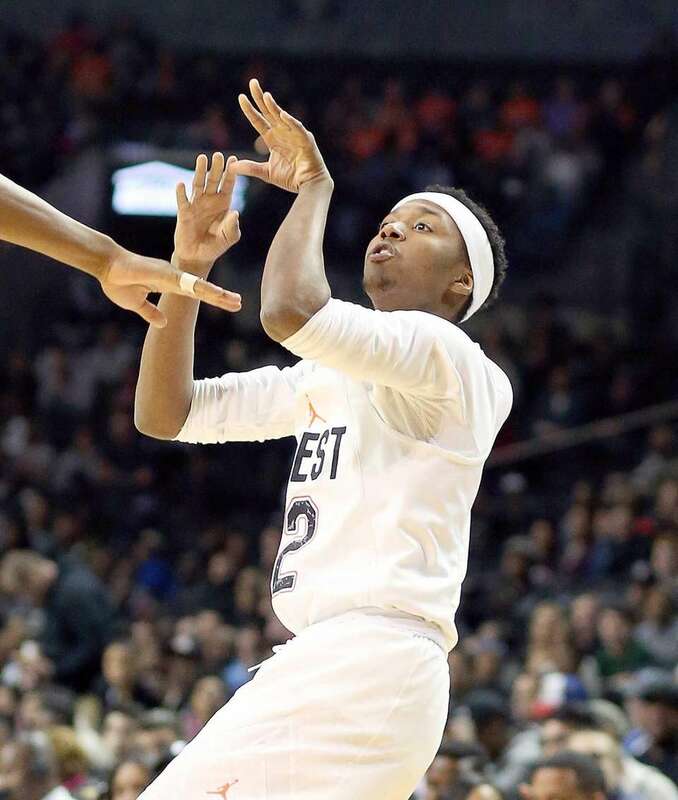 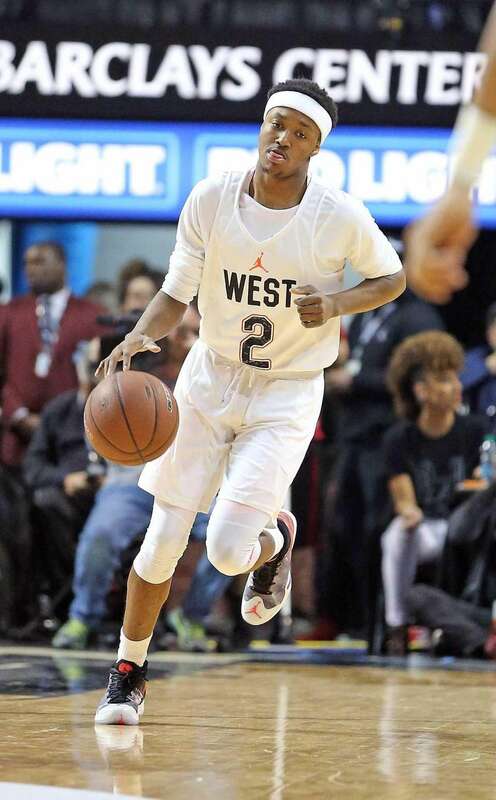 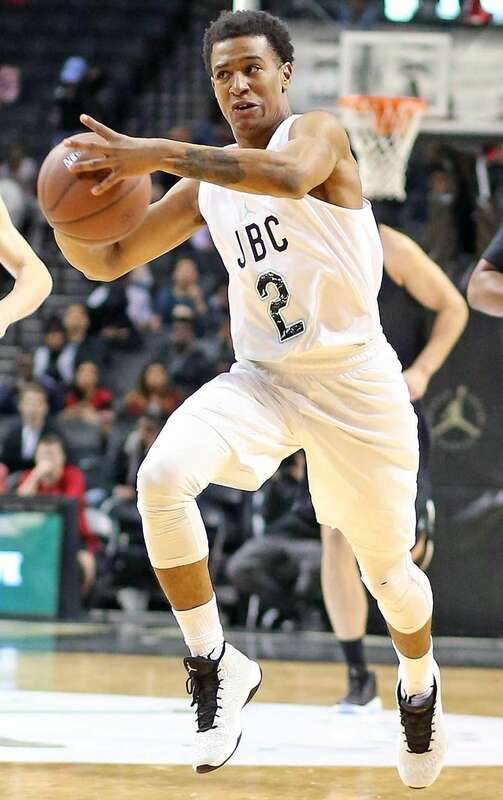 The 2016 Jordan Brand Classic is played Friday night at Barclays Center. 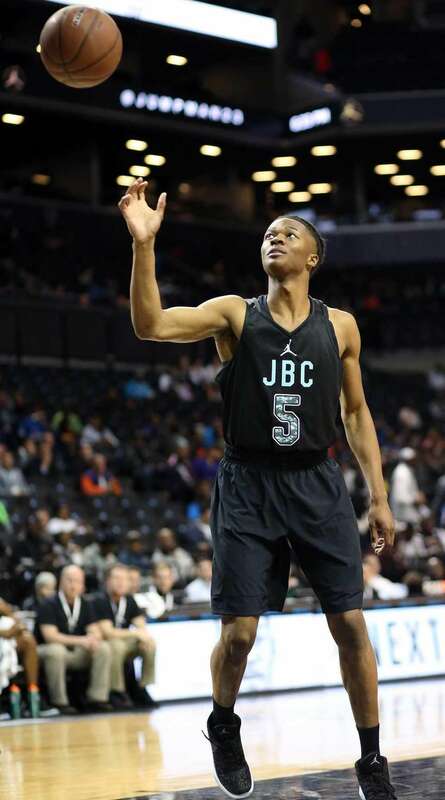 Shamorie Ponds from Thomas Jefferson High School who signed with St. John's University fades after the shot at the Jordan Brand Classic All-American game at the Barclays Center in Brooklyn, New York on April 15, 2016. 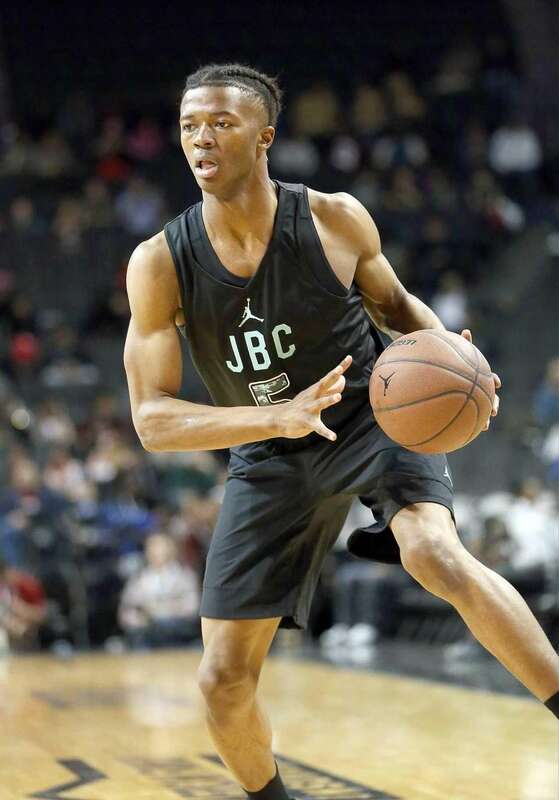 Shamorie Ponds from Thomas Jefferson High School who signed with St. John's University at the Jordan Brand Classic All-American game at the Barclays Center in Brooklyn, New York on April 15, 2016. 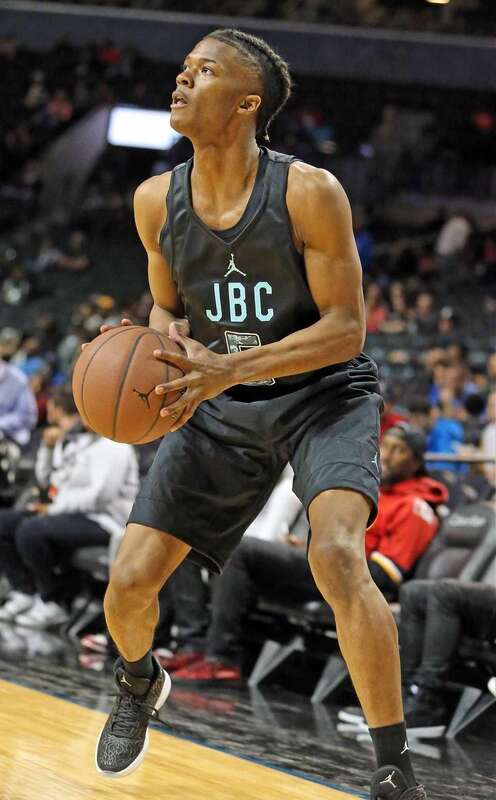 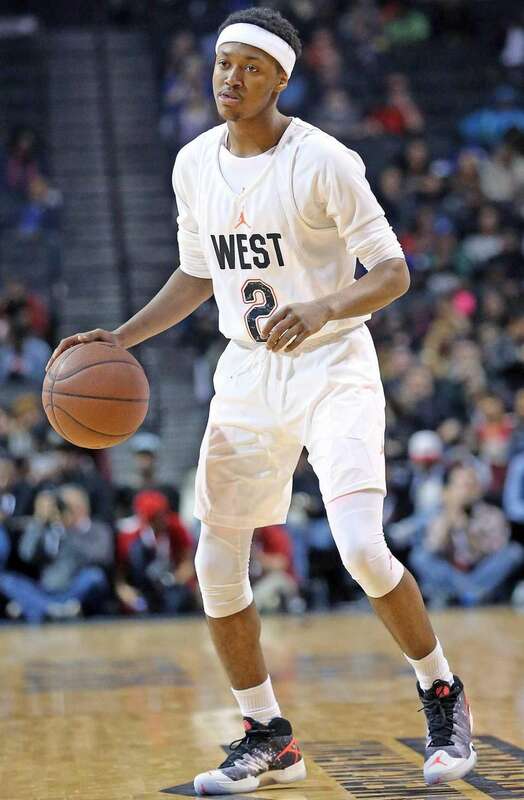 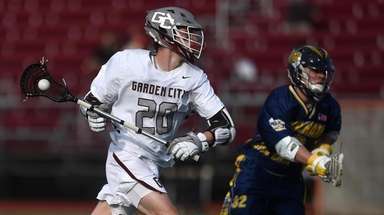 Cheshire Academy's Elijah Pemberton at the Jordan Brand Classic High School basketball all-star game at the Barclays Center in Brooklyn, New York on April 15, 2016. 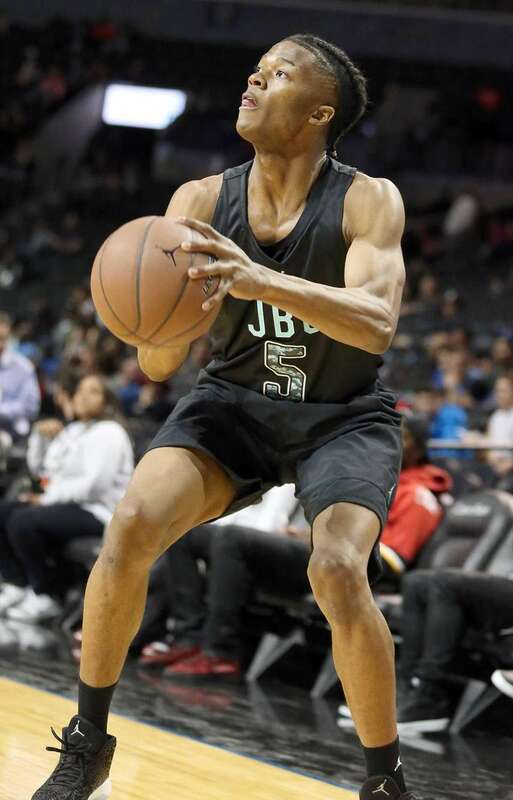 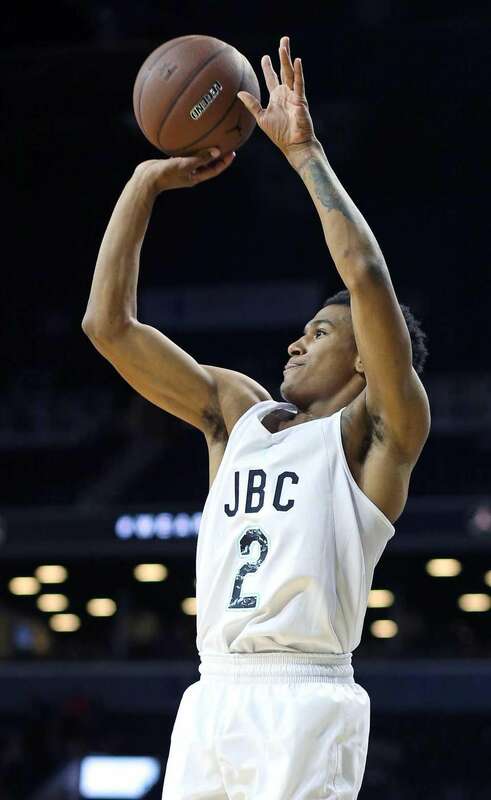 Long Island Lutheran's Devonte Green at the Jordan Brand Classic High School basketball all-star game at the Barclays Center in Brooklyn, New York on April 15, 2016. 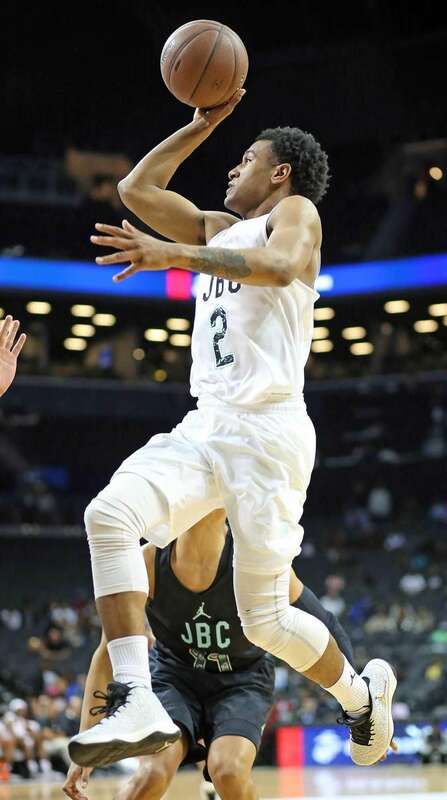 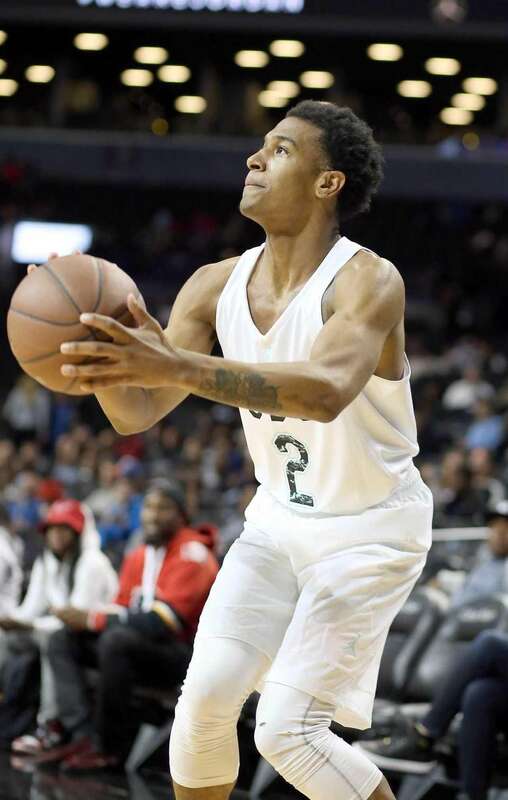 Long Island Lutheran's Devonte Green keeps control of the ball at the Jordan Brand Classic High School basketball all-star game at the Barclays Center in Brooklyn, New York on April 15, 2016.